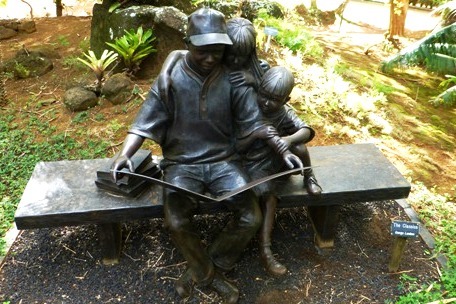 Categories: Phall Photos, Weekly Photo Challenge | Tags: botanical gardens, Bronze, cat, children, Hawaii, postaday, reading, sculpture | Permalink. 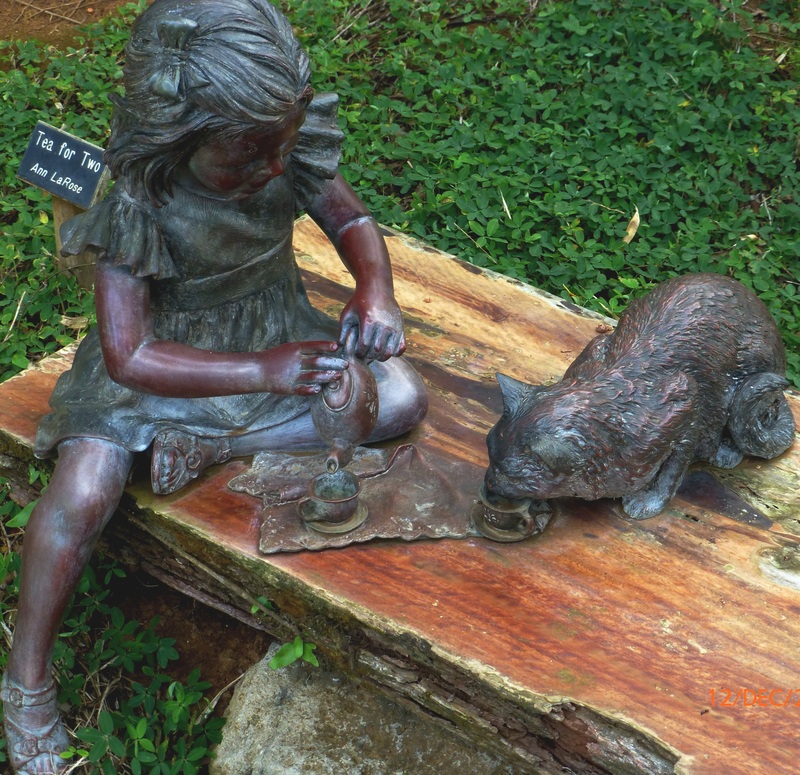 Awww………I love the tea party! Yes, I love that one too. How are you? Hugs! I am good. I have my Friday afternoon park date with a darling lil toddler this afternoon! David’s plane landed and his daughter and the guest room with balloons floating all round. So sweet! Hugs back at ya! Well, good. Missed you. Happy reunion! 😦 plane landed in Copenhagen. He’ll be back in three weeks. Once I finish cleaning I hope to get some writing done in uninterupted silence. Thank you, John. It was hard to choose, but I knew the kids and cat people would love this and I love the reading one. You know which one is my favorite!